Who can forget the first time they hear the menacing French horns in Prokofiev’s musical tale, Peter and the Wolf? As an avid record collector and dealer today, I can trace my love of music and vinyl back to my worn copy of Disney’s version narrated by Sterling Holloway. 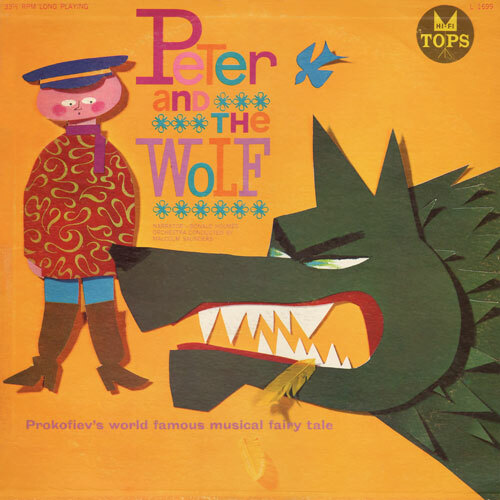 Written in 1936, Peter and the Wolf was first recorded in 1938 by RCA Victor on three 78 rpm records. 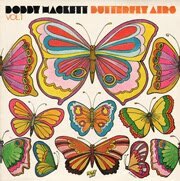 Several decades later we can witness the story’s timeless appeal by its many illustrated depictions and language translations on countless vintage album covers. Psychedelic graphics meet the mainstream on vintage classical and pop instrumental album covers in Groove is in the Art.